DataForSEO system is being constantly improved. This is why we increase our capacities all the time to optimize our API according to the high requirements of our users. 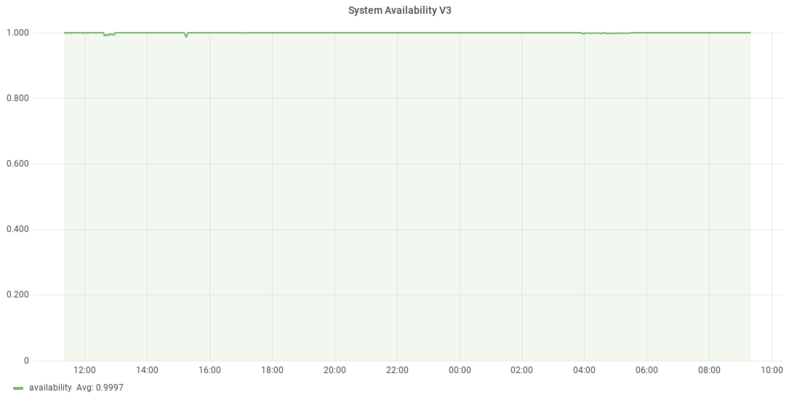 This graph displays the system status in the last 24 hours. A '1' value means no system errors. All date time values are specified in UTC Timezone. 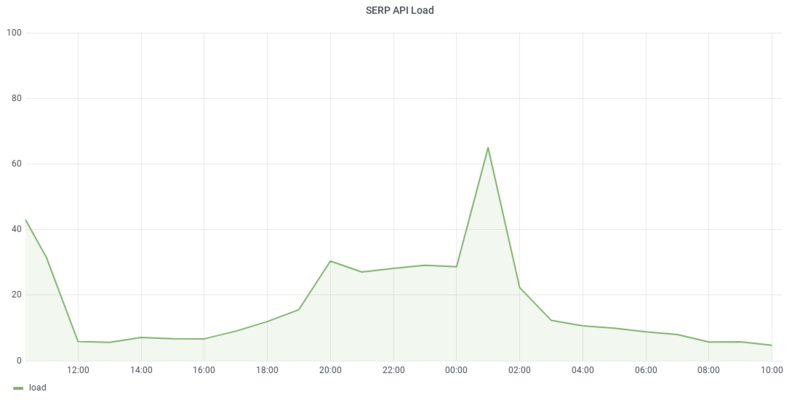 This graph shows the system load in the last 24 hours. A '100' value means the maximum load in the selected period. All date time values are specified in UTC Timezone.